Hydrogen vehicle Reviews and Road Tests- What we provide? We provide detailed independent hydrogen car reviews, first impressions and road test reviews for both new and used hydrogen cars. We have a team of motoring writers from the Guild of Motoring Writers. They will keep you well informed of all you need to know for a particular hydrogen cars, from the price and performance, to the interior and entertainment package. 1) We choose the hydrogen cars to review, based on the latest market demands. 2) We test drive the hydrogen vehicles, and use the hydrogen vehicle as you would in every day to day life. This included refuelling or charging, motorway driving, cornering, accelerating, breaking and much more, including servicing and safety i.e. blind spots. 3) We use as many of the features in the hydrogen vehicle as possible, this will include the entertainment system, the climate control, electric seat, mirrors and windows, locks, boot, child seats, spare wheels or puncher repair kits. We look at manuals and maintenance guides, we will even check how to fill up the washer fluid. In addition to all this we will look to see what technological features the hydrogen car has, i.e. satnav, Wi-Fi, internet surfing, games and even smartphone apps. 4) We will give honest feedback on what is good and what is not so good. Always taking into account what you as a consumer would expect from each hydrogen vehicle. 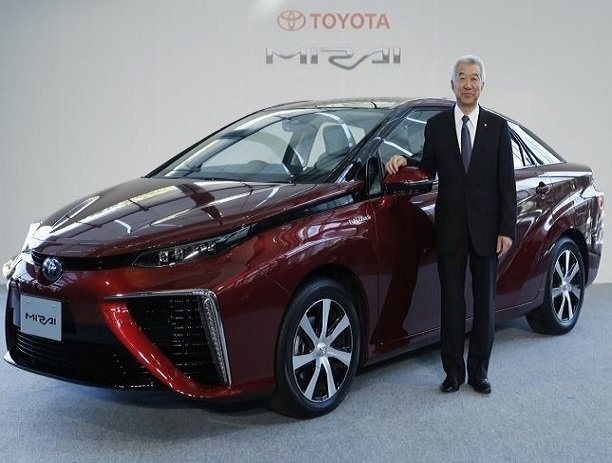 5) We will look at the design of the hydrogen vehicle and take into account what is good and what is bad. Maybe we will offer alternative solutions to problems we have found? i.e. what to do if the boot space is very small. 6) We research the market, and can make comparisons to other hydrogen vehicles that are similar and offer other advantages or disadvantages. Accounting for the market, price, performance and features. 7) We always write openly and honestly about our experiences with the hydrogen vehicle. We are happy to also take on board any feedback you may have if you Contac Us. 8) All positive and negative aspects of the hydrogen vehicle will be backed up with tangible examples and explanations of why, how or when these areas came to light. 9) We offer an hydrogen vehicle rating for all our reviews and offer our unique hydrogen car rating system.